New U. S. and Indian Mars orbiters for atmospheric research will be launched in 2013. Here the Mars Climate Sounder instrument on NASA's Mars Reconnaissance Orbiter maps the vertical distribution of temperatures, dust, water vapor and ice clouds in the Martian atmosphere as the orbiter flies a near-polar orbit. Temperatures from the surface to 80 km. (50 mi.) altitude were measured and range from minus 244 degrees Fahrenheit, coded purple, to minus 100 degrees Fahrenheit, coded green. Credit NASA/JPL/Caltech. The 2013 Indian mission will also be part of a major new international initiative to study the Martian atmosphere to determine what led to the planet's loss of surface water while also pinpointing locations giving off methane gas, a possible indication of subsurface Martian life. The new battleground in the Asian space race is the Moon and Mars, said James Clay Moltz, a professor in the U.S. Naval Postgraduate School's Dept. of National Security Affairs, Monterey, Calif. 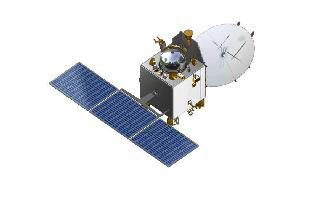 The Indian Mars Orbiter will use a design similar to the Chandrayaan-01 Indian lunar orbiter pictured here. No Mars Orbiter hardware images have been released by India .Credit: ISRO. The current plan is for India's Mars atmospheric orbiter to be launched by an Indian enhanced performance Polar Satellite Launch Vehicle (PSLV-XL). But some Indian managers and politicians have raised the idea of launching the flight on the much larger Geosynchronous Satellite Launch Vehicle (GSLV). The Indian orbiter named "Mangalyaan" (Hindi for Mars Craft) will be part of a Martian atmospheric mission surge including the much more advanced NASA MAVEN Mars orbiter also set for launch in November from Cape Canaveral, Fla. on an Atlas V.
They are to be followed in 2016 by the Russian Proton launch of the European Space Agency Trace Gas Orbiter (TGO) spacecraft also focused on the atmosphere. Before its atmospheric mission, TGO will carry into Martian orbit an ExoMars demonstration lander that the orbiter will also support for a few days with communications relay. The mission is designed to provide extensive Mars atmospheric data while also helping ESA and Russia to validate new Launding technologies for the much larger ExoMars rover mission. If the new Indian and NASA atmospheric orbiters are launched successfully they will arrive in Martian orbit in September, 2014 carrying a total of about 15 new atmospheric sensing instruments. Those two atmospheric missions will be followed in 2016 by launch of the European Space Agency Trace Gas Orbiter (TGO) , that by 2017 should boost to more than 20, the total Mars atmospheric instruments operational in Martian orbit. While completing its Mars orbiter, India is racing to catch up with China's in other areas of space flight creating an Asian space race. "With India what we have seen is a very significant change from a program that was almost exclusively focused on space applications, "Moltz told this editor for the December 2012 edition of Space Quarterly, a SpaceRef publication. 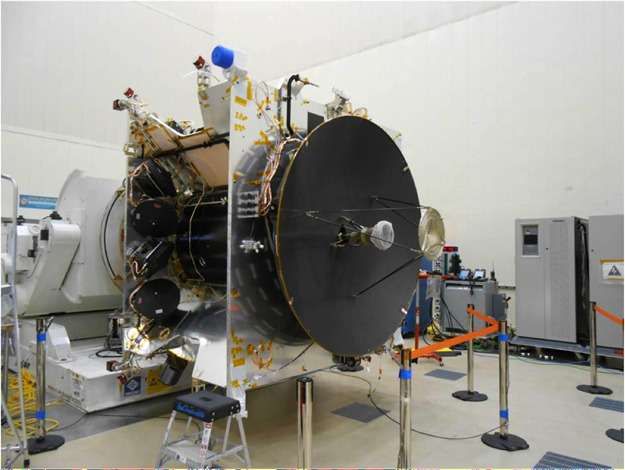 Caption: NASA's MAVEN Martian orbiter set for launch in November will fly in a highly elliptical orbit to sample both extremely high and low atmospheric conditions. Credit: NASA/University of Colorado. 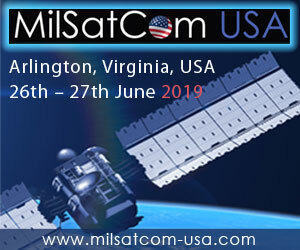 "India has moved from a space program to serve to the Indian population with land use remote sensing, telemedicine and the placement of transponders on fishing vessels, to one that now has adopted high prestige lunar and planetary science missions in addition to a fairly active military space program," he said. "These are entirely new elements for India and mark a very significant departure from its recent past," Moltz said. China lost its initial Mars orbiter, Yinghuo-1, when it had the 115 kg. (253 lb.) spacecraft launched piggyback on the Russian Phobos mission spacecraft that was stranded in Earth orbit due to computer and propulsion problems after launch on a Proton rocket in November, 2011. But China also has an ambitious Lunar rover mission planned for 2013 that is to be followed by an Indian lunar rover in 2014. Now the Indian Space Research Organization (ISRO), is considering whether it should delay its 2014 lunar rover to instead focus all of its planetary engineering and funding resources on the Mars mission instead. But there are questions about whether India can pull off development of its Martian atmospheric science mision in time for a 2013 launch. Although quietly under definition in India for some time, it was only officially approved by the Indian government in August, 2012. Vacations are now being cancled at project related departments in Indian government and industry to put a maximum effort on the spacecraft's development. The spacecraft bus is well under assembly and its solar arrays have been developed. The testing of its propulsion system has also gone well. The MAVEN spacecraft is shown during assembly at Lockheed Martin's Littleton Colorado facility. Credit: NASA/Lockheed Martin. 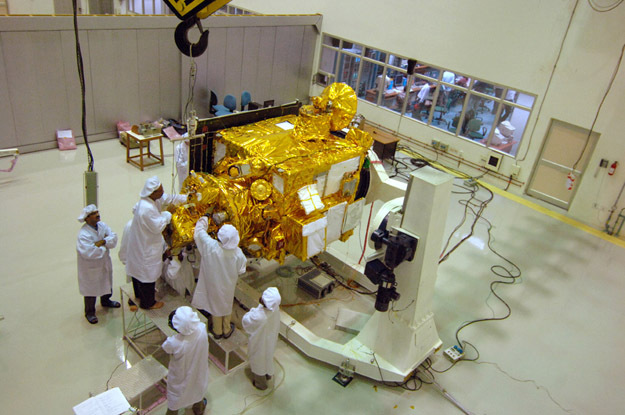 The Mars spacecraft is being derived from the Chandrayaan lunar orbiter heritage and takes into account the lessons learned from that project. "The main improvements in the Mars mission over Chandrayaan [are] to provide on-board autonomy in communication, an improved propulsion system, and enhanced power generation capacity because of the [increased] distance from the sun," Asian Scientist Magazine said. MCC-- Mars Color Camera which can image from the orbiter's planned highly elliptical orbit of 500 x 80,000 km. (310 x 49,709 mi.). It is a multi-purpose instrument which can image the topography of the Martian surface, its polar caps and two moons. It is expected to increase the understanding of events like dust storms and dust devils. --MSM-- Methane Sensor for detecting methane in the Martian atmosphere. --TIS--An instrument that will measure thermal emissions from the surface of the Red Planet. Its primary science goals include mapping the surface composition and mineralogy of Mars and understanding the dynamics of the Martian atmosphere by monitoring carbon dioxide levels. --MENCA--Mars Exospheric Neutral Composition Analyzer which will analyze the Martian upper atmosphere-exosphere region 400 km. (248 mi.) above the surface. --LAP--Lyman Alpha Photometer for in-situ measurements of Deuterium/Hydrogen ratios in the Martian atmosphere. This plot shows the first-ever look at the deuterium to hydrogen ratio measured from the surface of Mars, as detected by the Sample Analysis at Mars instrument, or SAM, on NASA's Curiosity rover. Deuterium is a heavier version of the hydrogen atom. 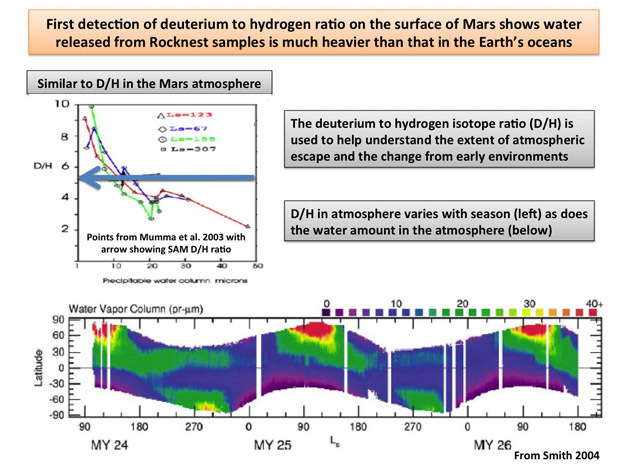 Scientists look at the deuterium to hydrogen ratios on Mars along with isotopes of other elements to study how its atmosphere has changed over time. Mars, which has less gravity than Earth and lacks a strong enough magnetic field to shield its atmosphere from the sun, is slowly losing its atmosphere. As this process occurs, the lighter hydrogen atoms are lost compared to the heavier deuterium ones which stay. The 903 kg. (1,900 lb.) MAVEN spacecraft is much larger and more complex than the 500 kg. (1,100 lb.) Indian orbiter. MAVEN stands for the Mars Atmosphere and Volatile Evolution orbiter. The NASA Goddard Space Flight Center , Greenbelt, Md. is heading the MAVEN program while Lockheed Martin based in Littleton, Colorado will provide the MAVEN spacecraft, conduct assembly, test and launch operations, as well as mission operations for MAVEN. 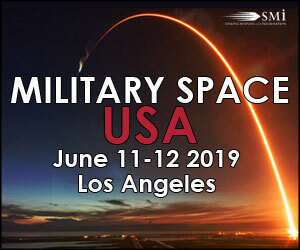 NASA's Jet Propulsion Laboratory will navigate the spacecraft while the University of Colorado's Laboratory for Atmospheric and Space Physics (LASP) will provide science operations and data packaging. Lockheed Martin will provide Flight Systems Management for MAVEN. --The Particles and Fields Package--built by the University of California at Berkeley with support from CU/LASP and Goddard Space Flight Center, contains six instruments that will characterize the solar wind and the ionosphere of the planet. --The Remote Sensing Package-- built by CU/LASP, will determine global characteristics of the upper atmosphere and ionosphere. --The Neutral Gas and Ion Mass Spectrometer, provided by Goddard will measure the composition and isotopes of neutral ions. 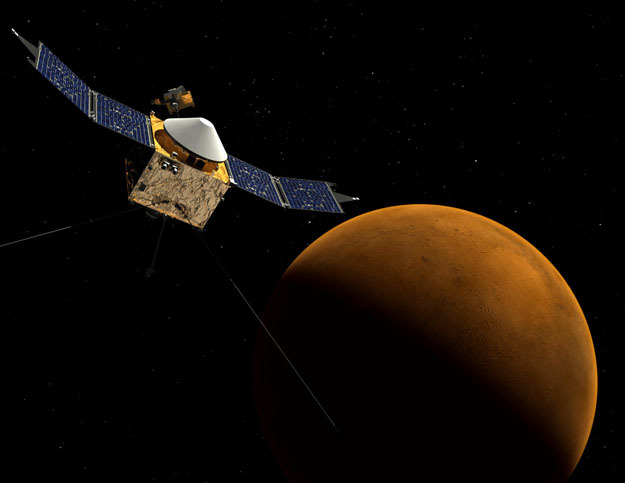 Maven will pursue two main areas of research. 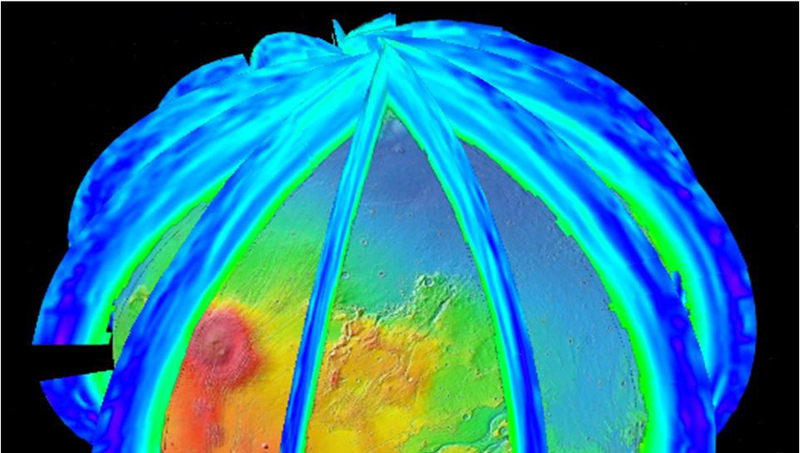 The " turn-off " of the Martian magnetic field 3.7 billion years ago allowed the solar-wind to begin its stripping away of the Martian atmosphere. This combined with solar extreme ultraviolet driven losses of atmospheric constituents, resulted in the present thin, cold Martian atmosphere. The Martian atmosphere is cold and dry today, but there was once liquid water flowing over the surface. --Where did the water and early atmosphere go? --How did H2O and CO2 go into the crust? 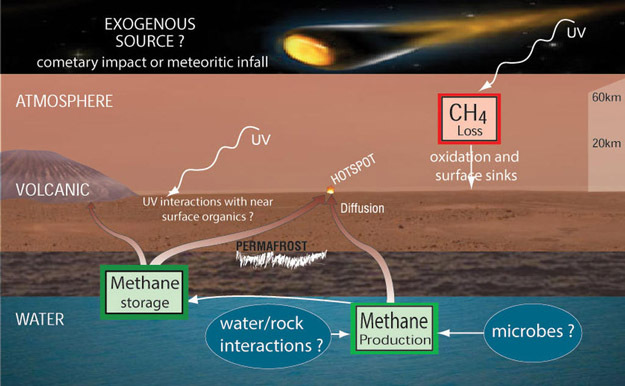 --How were Martian volatile gases lost to space? --Determine the structure and composition of the Martian upper atmosphere today. 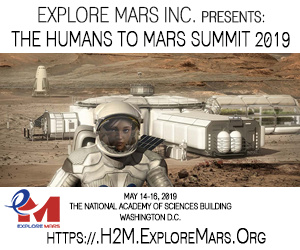 MAVEN will also answer questions about the history of Martian volatiles and atmosphere and help researchers understand the nature of planetary habitability. The Mars rover Curiosity continues to search for habitability factors in Gale Crater on Mars. The rover science team took a break over the holidays, but is resuming rock triage at Yellowknife Bay using its contact science instruments to select potential targets. Geologists are especially looking to avoid those where the rover's percussive drill could slightly heat the powered rock to turn into a gooey "Martian Honey" type substance that could seriously foul the rover's drilling apparatus (CuriousMars Dec. 20). The plan now to drill an initial Martian rock by late January. In late December Curiosity's arm (far left) was extended to place its Alpha Particle X-ray Spectrometer and microscopic imager on dark rock that looks much like a shoreline beside the lighter and flat rocks of Yellowknife Bay, that looks much like an ancient lake bottom. Credit: NASA/JPL/Caltech/Ken Kremer.com/Marco Di Lorenzo.